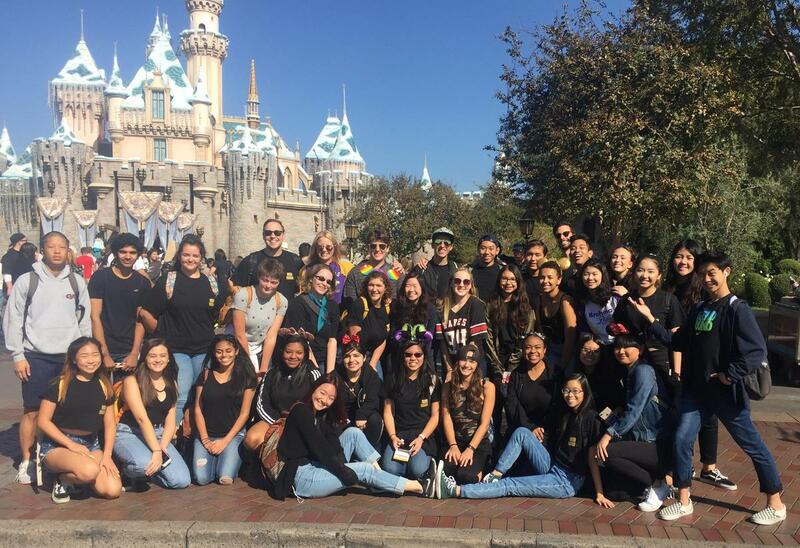 Monday, November 5, students and staff of our theatre arts department traveled to Disneyland to take part in a DISNEY performing arts musical theatre workshop. 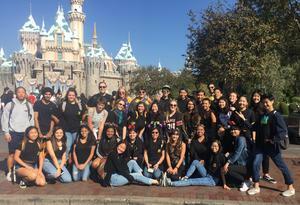 DBHS students discovered what it's like to be a Disney performer through watching a Disneyland Resort performance, interacting with the cast and going behind the scenes to learn a routine based on the show! This 3-hour, premium workshop is designed for intermediate to advanced musical theater groups. Students are instructed to develop performance skills in dance, vocals and acting as they are guided through a routine from a current Disney entertainment offering. Both a musical director and choreographer encourage and challenge the group as performers. The workshop includes both a VIP viewing of the stage show and a 90-minute rehearsal of the routine.